"My 4-year-old's favorite smoothie recipe, heavy on the peanut butter. Adding frozen mango may seem strange but it gives it a sweet taste and creamy, cold texture. Add a dash of vanilla extract or ground cinnamon, if desired." 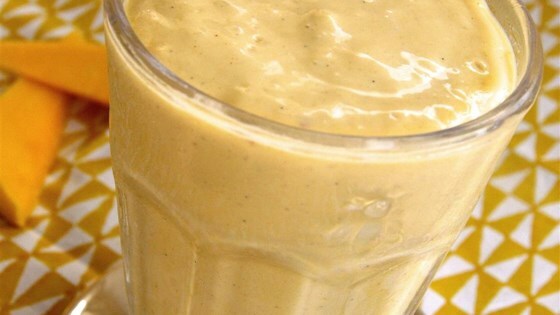 Blend yogurt, banana, mango, and peanut butter together in a blender until smooth. All of these ingredients work well together, very creamy smoothie. In the future, I will a little vanilla extract, think that will enhance the flavor.